A recent development is the I-Sens sensor separator. 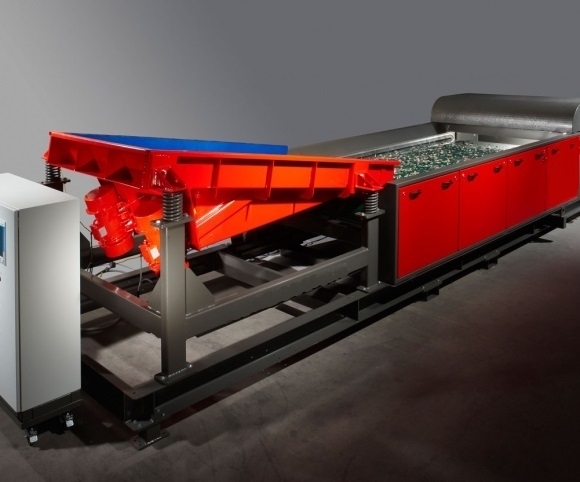 This system perfectly complements the separation process before or after the eddy current separators! The separation principle consists of a conveyor belt in which a sensor plate is mounted just before the final roller. This sensor plate detects a metal particle as well as the line along which this metal particle is located on the belt. Then the software calculates the exact location, and the metal particle is then ejected from the steam with an air pulse during its free-fall curve after which it falls behind a partition.